Welcome to AP Copies! In the photo above is the local staff you will be interacting with Jessi and JoAnn. The two of us are currently operating AP Copies. 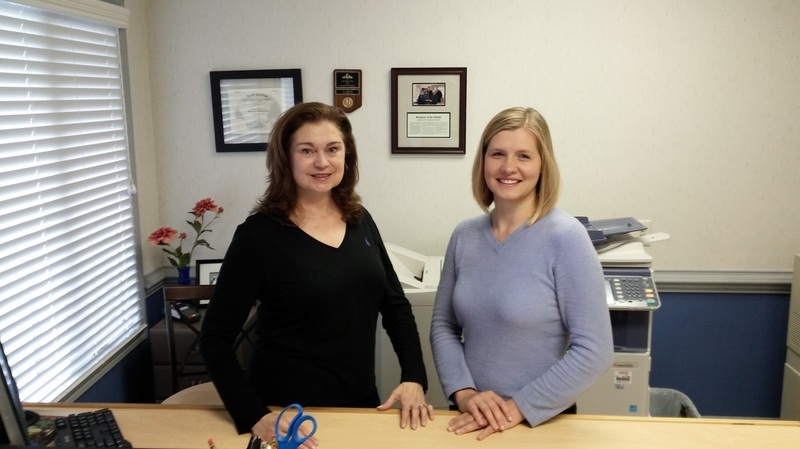 Jessi has a Architectural & Travel background and JoAnn has a Marketing background. Together we strive to provide excellent customer service and a quality product. Please stop by we would love to meet you and assist you with your next big project! re-pro graphic center servicing Kernersville, Greensboro, and Winston Salem NC since 2008. Our location is in the heart of the triad in Kernersville, NC. Our Personal goal is to provide services that exceed our client's expectations. Keeping pace with today's increasing advancements in construction documents can be a challenge. now offer Easy File Transfer directly to our office avoiding email. Our focus is always on our clients' convenience and needs first. Whether you have blueprints, specs, or color drawings, we can scan, print and copy while also providing delivery and pick up to make your job easier! We also provide many popular sizes of paper with very competitive pricing. If your seeking fast turn around time, high quality results with exceptional service, give us a try!